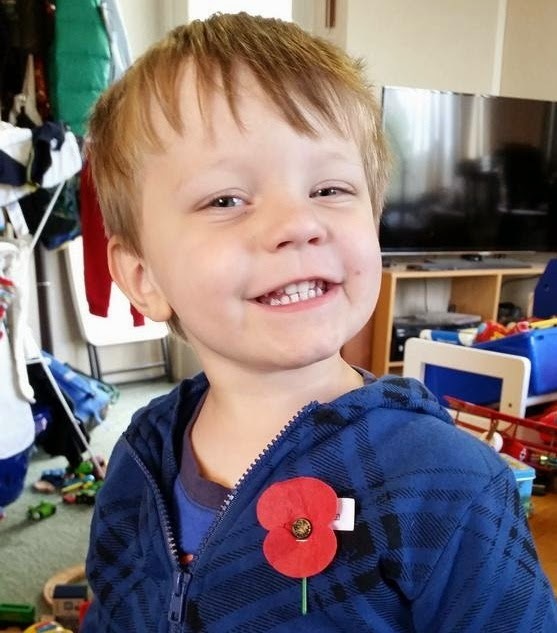 Theo wanted a poppy to "Remember the soldiers"
on this special centennial ANZAC Day. 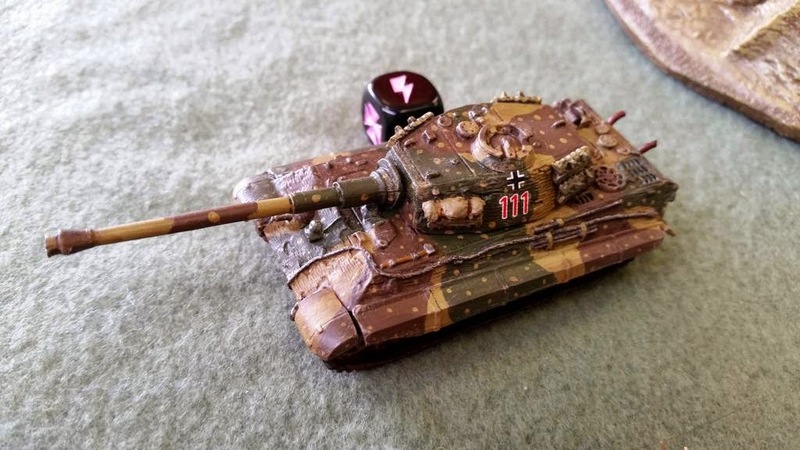 At any rate, I thought I didn't have much to report, but when I flicked through my phone's pictures for hobby-related stuff, I was surprised there was actually quite a lot. 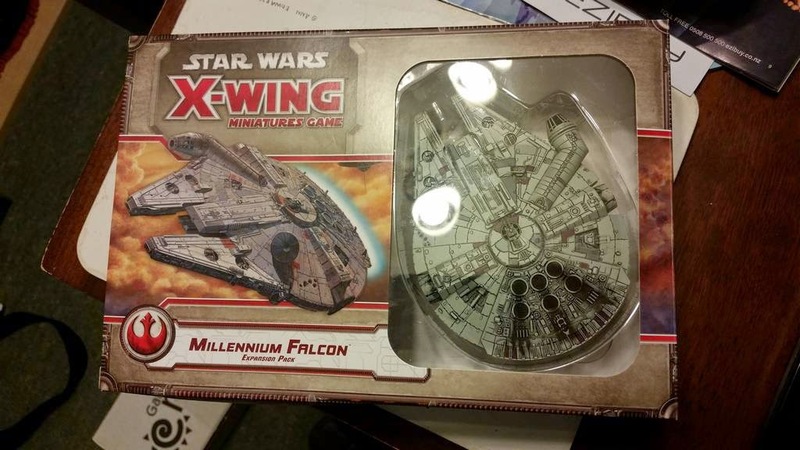 Over the past few weeks I've had some FoW games, several Saga matches, tried out Netrunner, bought a new Warmachine army, expanded my X-Wing collection, and even got a neato Lego set for my birthday. Also, before we get started, I just wanted to mark the passing of the 100-year anniversary of the landings at Gallipoli on 25 April 1915. Here in New Zealand and Australia we hold annual memorial services on that day commemorating ANZAC Day. Like Veteran's and Memorial Days in the US, it's meant to be a time to acknowledge the sacrifices of those who have gone before us. It has been very moving to see NZ remember, and I am honored to have witnessed it. 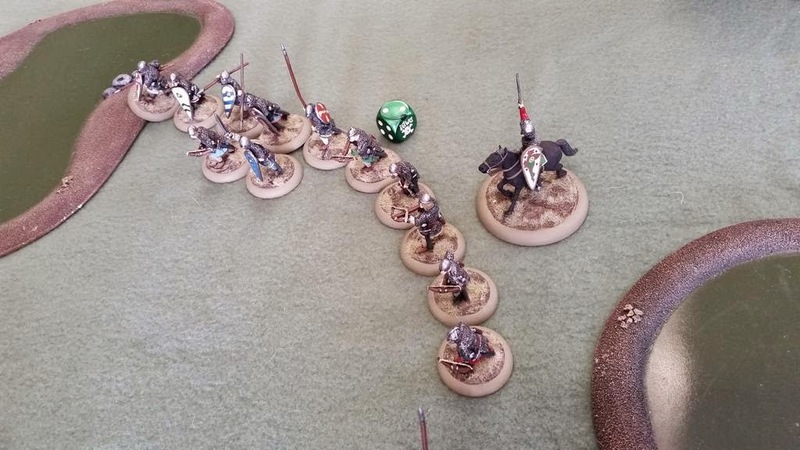 These past few weeks has seen me play, think, and hobby up a lot of Saga. The reason for this is that it's still a fun game and I really like the period. 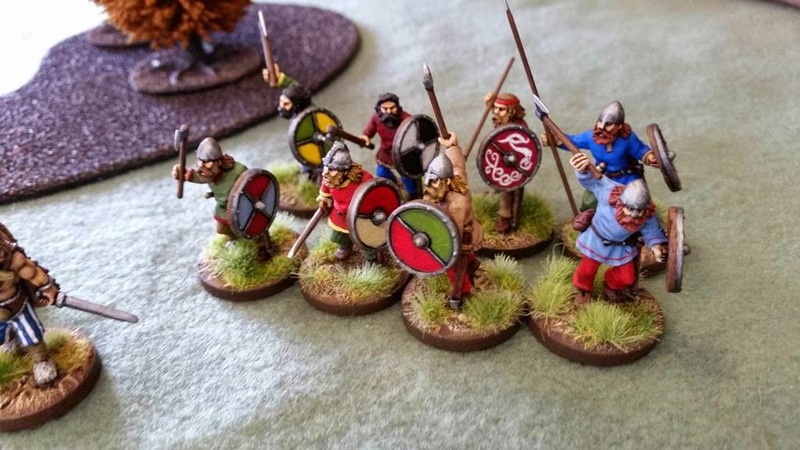 It also helps that my wife and I have been watching History Channel's drama series Vikings, so it really puts me in the mood to play and paint dark age warriors, in particular my Danes, which have been WIP for about a year now. 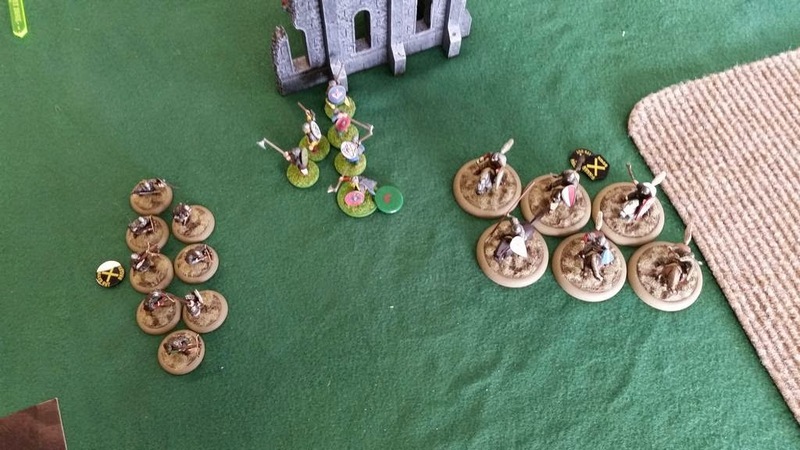 The game ended in a draw as we totally lost track of turns and how much we had killed, so we were happy to call it after having a lot of fun in the process! 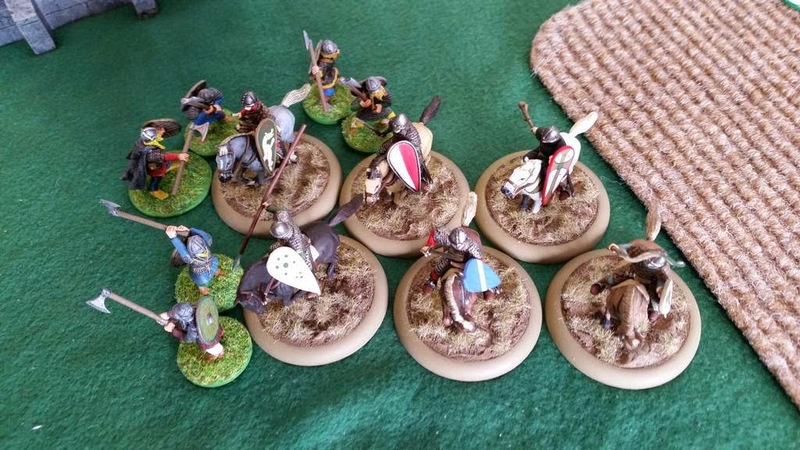 I also got a game in with Jonathan, who also plays Vikings. 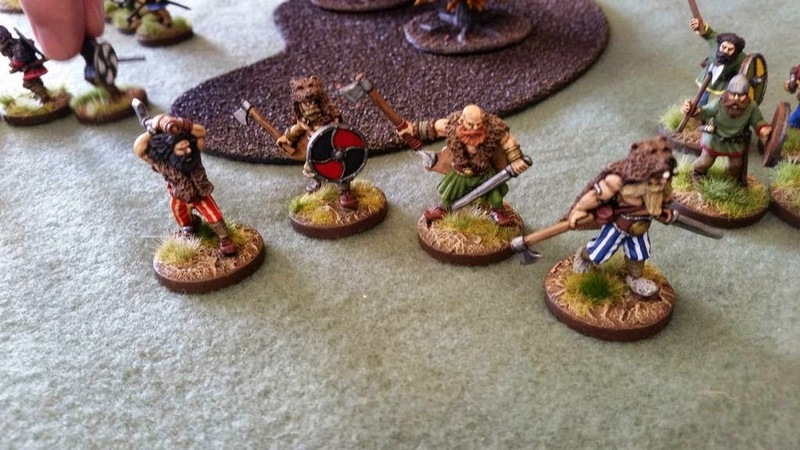 He has an interesting twist in his army in that he took Harlod Hardrada, a warrior for his warlord. I've not faced him before and they were tough! 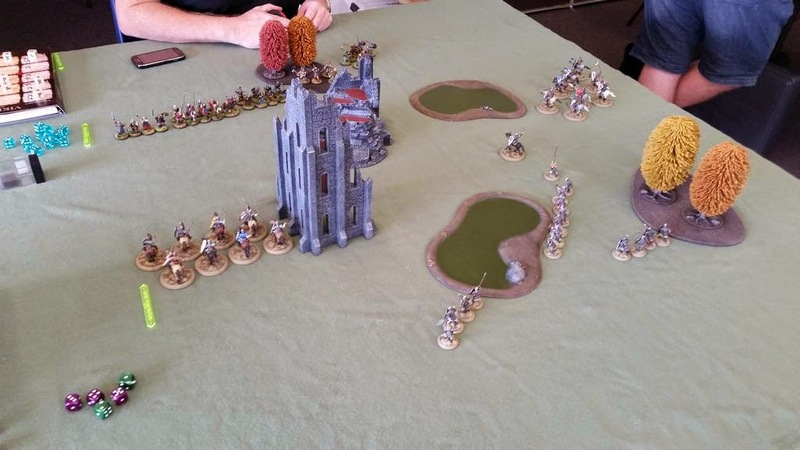 We played a standard match, and once again we lost track of turns and kills, but the game ended on a Warlord v. Warlord fight. 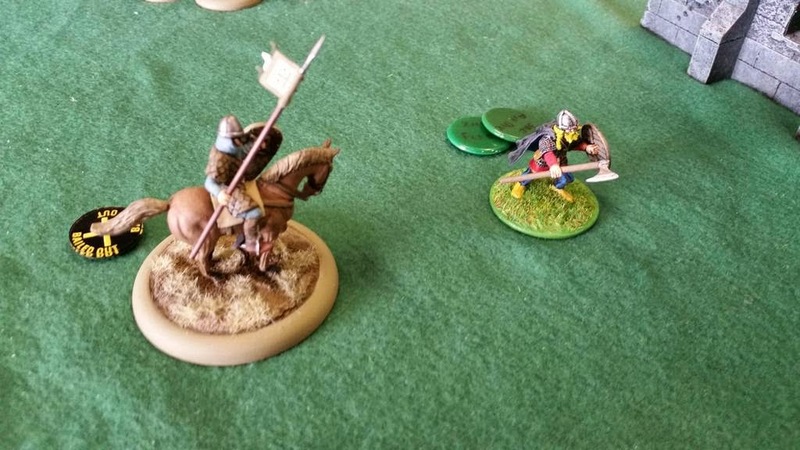 We both died in the dual, but as I had to toss a hapless heathguard to take a hit, we agreed Jonathan's heroic stand was more glorious and worthy of the sagas, so the battle was given to the Vikings. 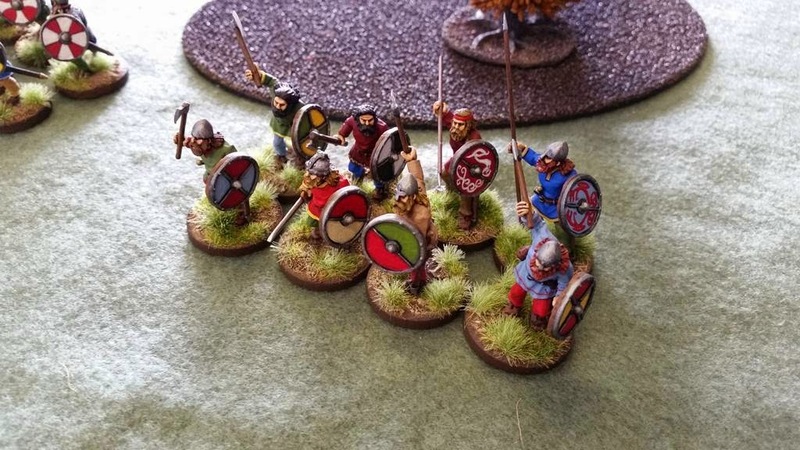 With these games and the premier of Vikings in our house hold, I've dusted off my WIP Anglo-Danes and began work once again on my Senlac Hill shield wall. 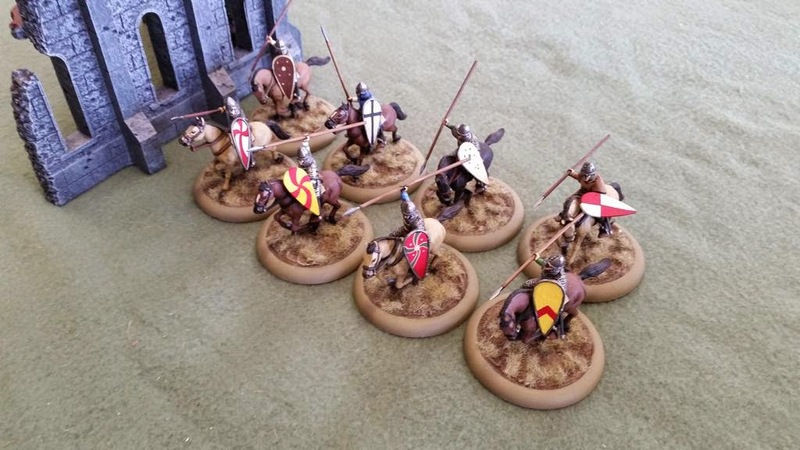 As a break in tradition from the round lipped bases, I've gone with square ones to help rank them up into a believable shield wall. 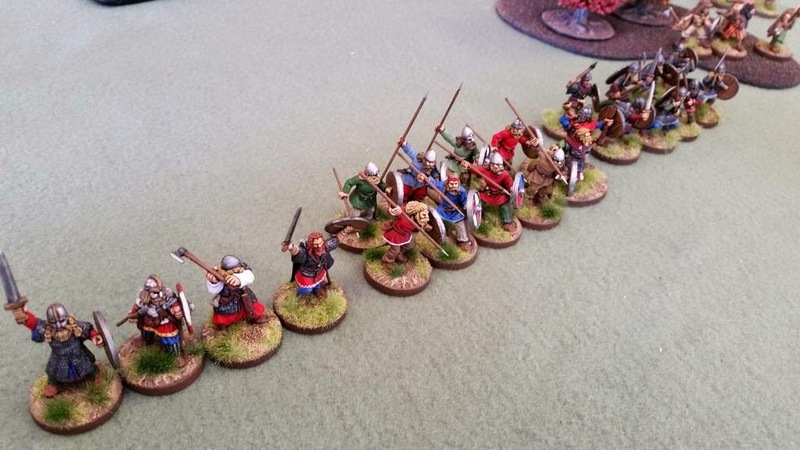 I have positioned them carefully to make sure that they can interlink their shields and really give the impression of a tough-as-nails shield wall, fit for the top of Senlac Hill. I've been meaning to play this game for a while now and with the living card game model taking off and reaching critical mass across the globe, I thought it was time to jump in. 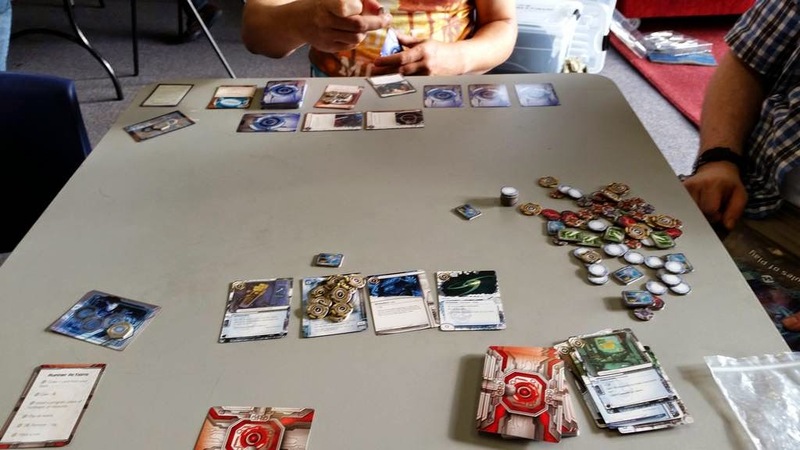 I was tempted by the Star Wars and Lord of the Rings games, but to be honest, after having played the Decipher CCGs of both back in the days, I'm a little reluctant to give them a try, especially LotR, which I maintain was Decipher's best. So, Android: Netrunner fit the bill with an IP I hadn't explored before and a system originally developed by game design legend, Richard Garfield. I bought the starter and Greg offered to give me a game, he also being a newb. We threw down a game with me as the runner and Greg as the Corp. It was a singularly intense game, that literally kept me at the edge of my seat. I think I won it in the end, but it was so close and the action never left a dull moment. 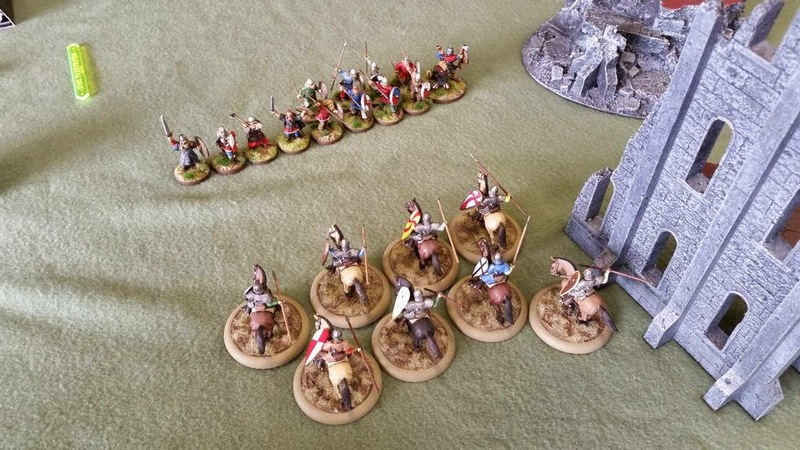 The game justly deserves credit, but the lion's share must go to Greg who always makes our games fun and engaging! 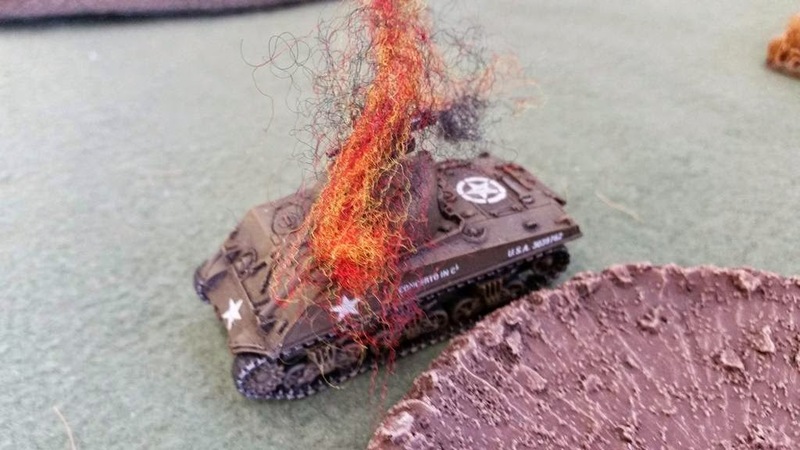 I got two games of Flames of War in, both also against Greg and both within about 90 minutes. 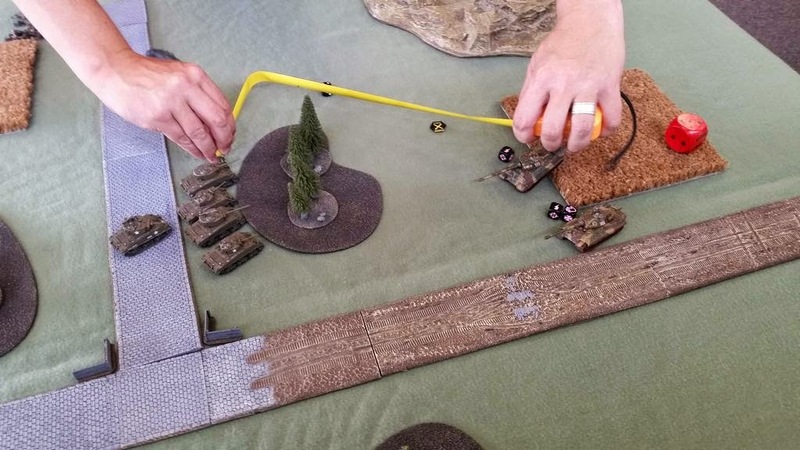 The match up was Greg's RV heavy tanks from Remagen and my 4AD Shermans from BGG. 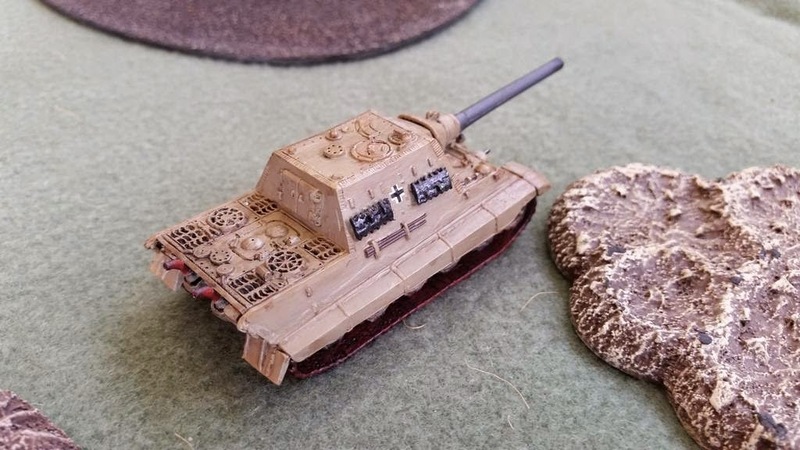 The games went quickly with some very luck rolls on my part to bag cheap veteran heavy tanks. Two fast and furious 6-1s, but still fun! 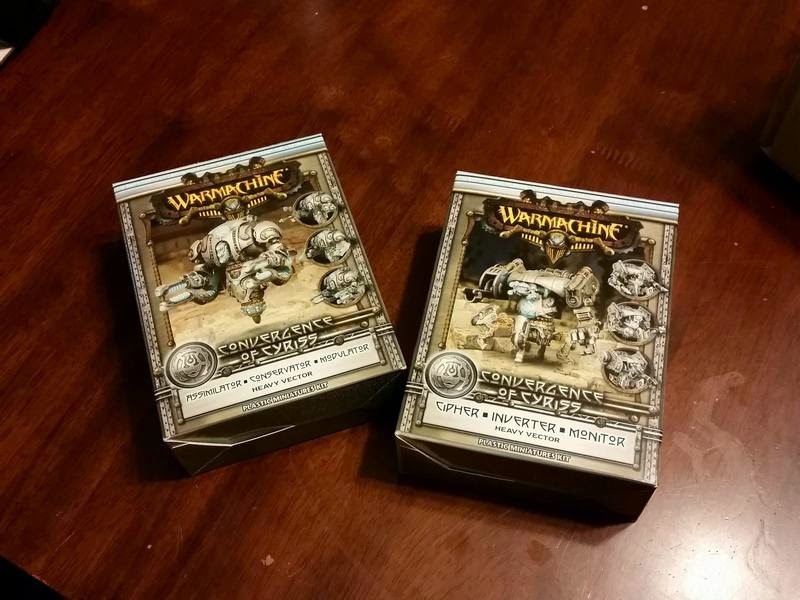 The club launched a Journeyman's league for Warmachine and I thought it was a good time to pick up a new army (I usually play pirates) and actually learn the game once again (lat I played was back during V1). 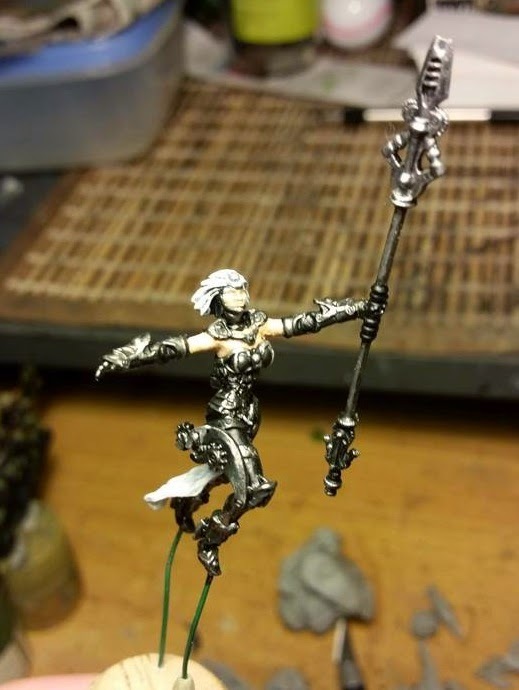 So I picked up a Convergeance of Cyriss army. I got most of my stuff secondhand, but the required heavy vectors were coming from the States, so I killed time working on Aurora. She's still got a ways to go. When the vectors arrived I was eager to get started and busted them open as soon as I could. 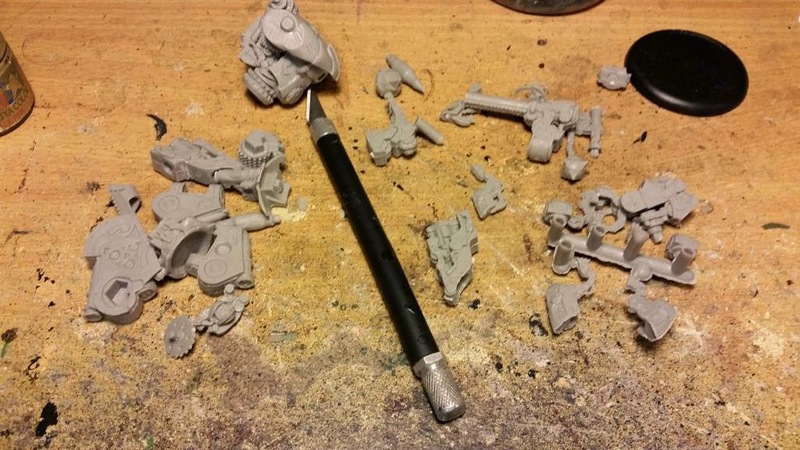 There my enthusiasm ran dry instantly as I was confronted by some of the worst resin casting I have ever seen. 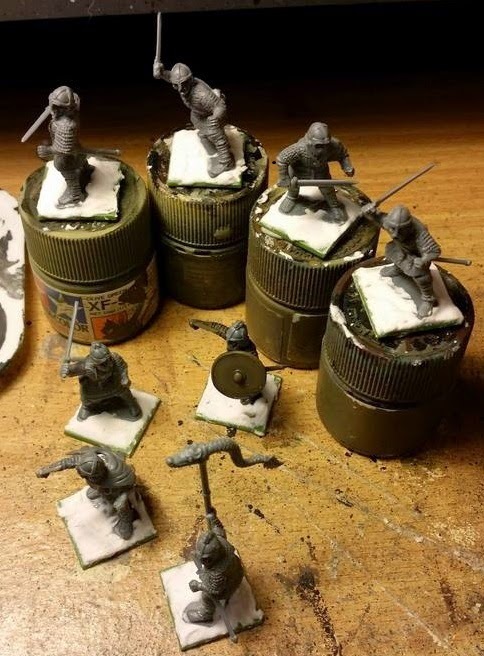 Research proved that these models were notorious for bad casts, so a note to PP quality control was not going to help. Neither was the fact that I needed them on the table ASAP and PP's customer service to this part of the world is notoriously slow. Check and mate. It's been a long time in coming and it only leaves Slave 1 and I'll finally have caught up by back catalog with the exception of the Tantive IV (which is in my sights as soon as I get Slave 1). The S&V set is one I've been looking forward to for a while. As a huge fan of the book Shadows of the Empire, I've been wanting to pitch Dash, Lando, and Rogue Squadron against Xixor's Black Sun. So, I've been noodling up some Z-95 and Starviper lists... especially since my son bought me both for my birthday! April is both Theo's and my birthday month, so we got up to a lot of adventures. We're a museum family, so we went to the local War Memorial Museum as well as MOTAT, a transportation and technology museum. 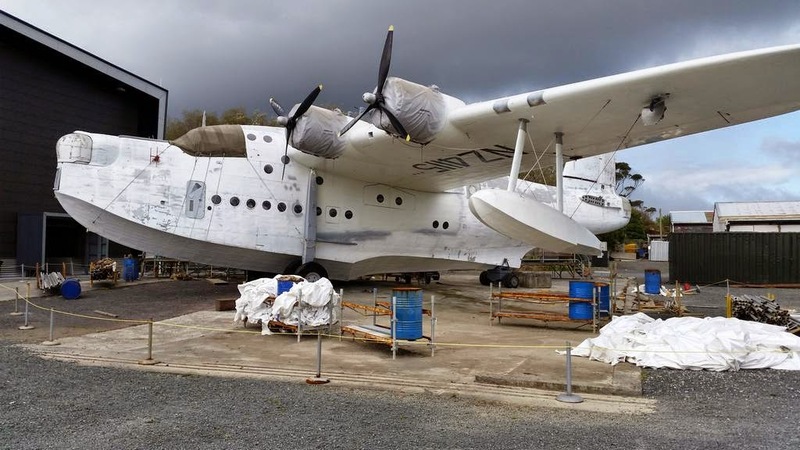 At MOTAT, we saw a Sunderland flying boat being restored, one of my favorite planes of WWII, and quite rare as well. The War Memorial Museum was pretty good as well, especially through the eyes of a 3 year old. 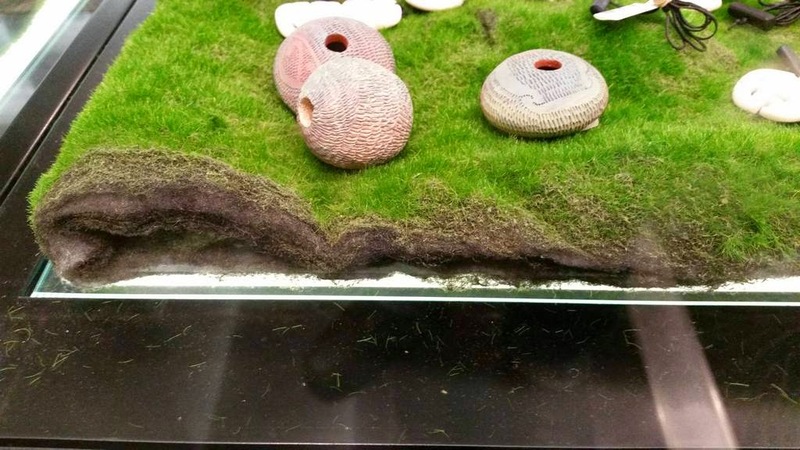 But what really struck me was this grass mat I saw in the gift shop. It looked like a mat of Silfor tufts. 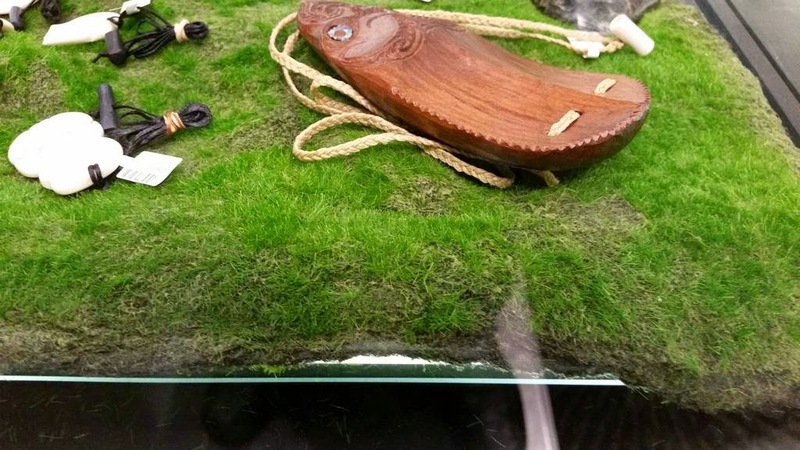 I've never felt like breaking a glass display case and making off with its contents, but I have to admit a museum caper did cross my mind to acquire this material for wargaming use. The shop people didn't know what it was or where to get it, so I thought I'd ask you to keep your eyes out and report back if you discover anything about this stuff! 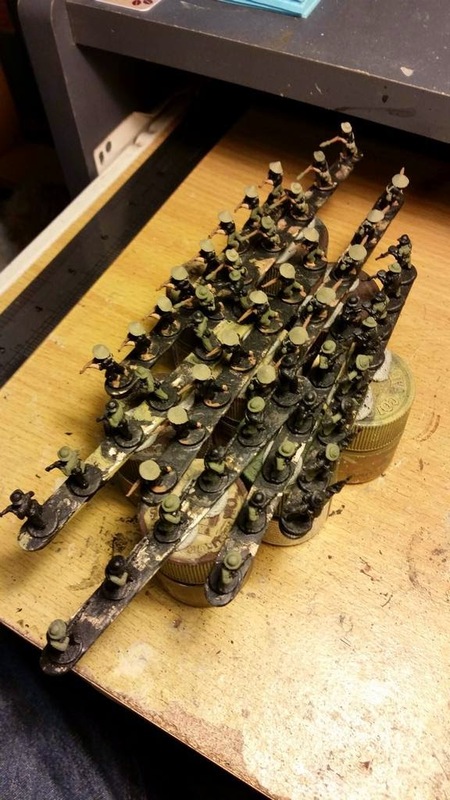 I fully intend to find out and make a wargames table out of it! Well, that's all I got for you this post! 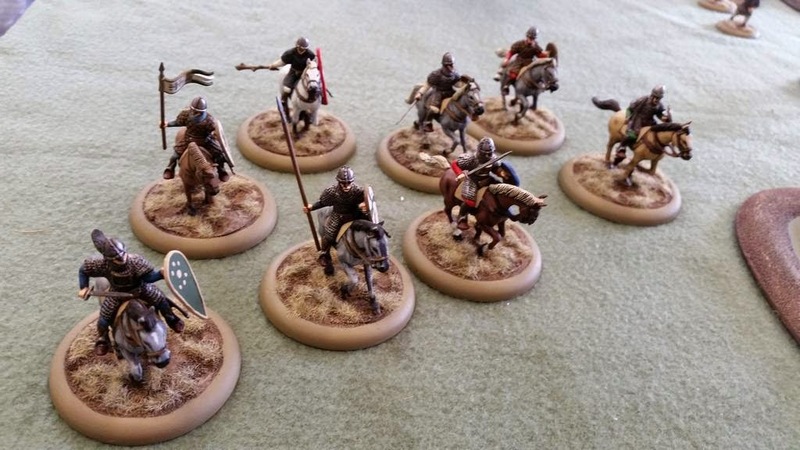 I've got the Anglo-Danes on the work bench, as well as some Vietnam jungle (upcoming photos and tutorial on that). Hope you all have had a pleasant April and thanks for stopping by! A most productive April. 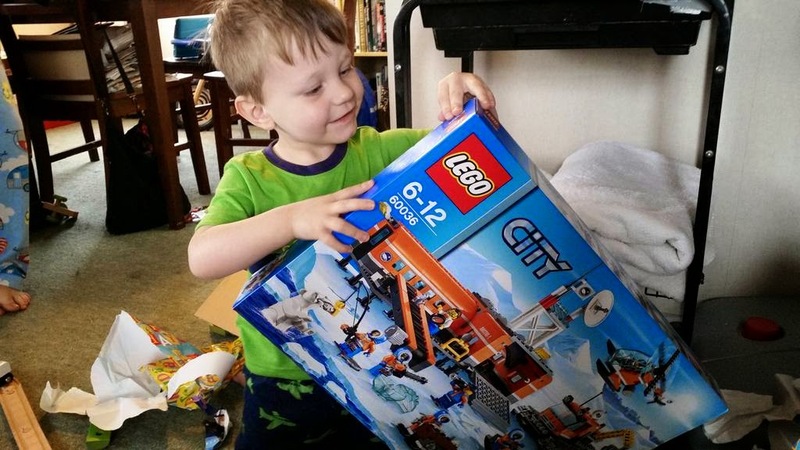 I especially liked the look on your son's face while opening "your" Lego kit - reminded me on my son Sean. He's a bit bit young now but I heartily recommend the Lego Robotics kit when he's six or seven.